While many child stars have had serious problems later in life, Neil Patrick Harris has proven to be one of the exceptions. He was thrust into the spotlight at age 16 as the star of his own hit ABC show, Doogie Howser, M.D.. Though he’s had a lot of kidding about his alter-ego, he’s always been very likely to joke about it himself. Doogie Howser, M.D. ran for 97 episodes, from 1989 to 1993 on ABC. The light-hearted drama centers around Douglas “Doogie” Howser, a protege who graduates from Princeton at the age of 10 and becomes a doctor at 14. The series picks up with Doogie as a 16-year-old resident surgeon at a Los Angeles hospital, balancing work with the typical challenges of a young man. The series stars Harris, Max Casella, Lawrence Pressman, James Sikking, Kathryn Layng, Belinda Montgomery, Lucy Boryer, Markus Redmond, Mitchell Anderson, Lisa Dean Ryan, and Rif Hutton. The series was cancelled abruptly after four seasons due to a drop in the ratings. Following the end of the series, Harris continued to act in television and movies as well as on stage in musicals like Sweeney Todd and Assassins . His second breakout role came in the small film Harold & Kumar Go to White Castle when Harris played a fictional, lecherous, version of himself. That role led him to being cast in How I Met Your Mother. 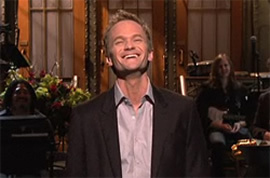 How I Met Your Mother: An Homage to Neil Patrick Harris’ Doogie Howser, M.D. Doogie Howser, M.D. : The Doctor & the Series Finale Are In!